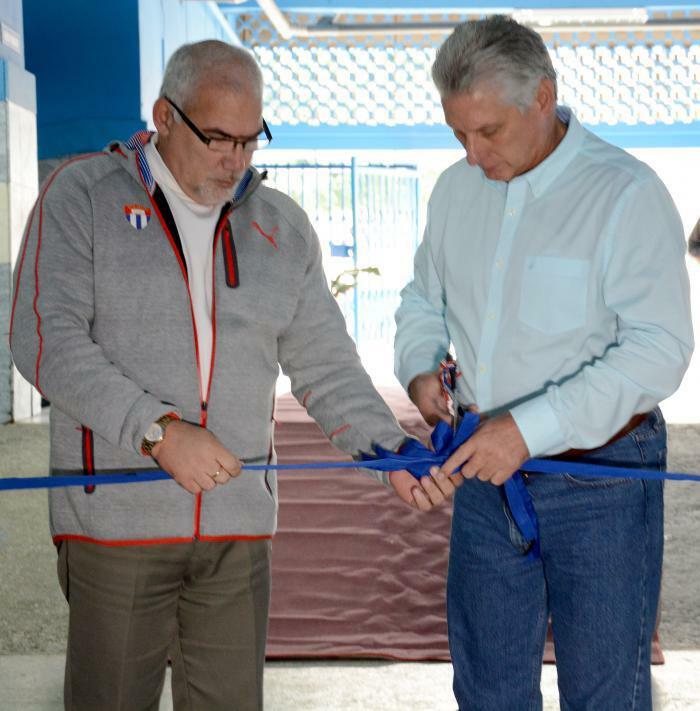 Cuba’s sports movement is working hard to recover and modernize a number of facilities to improve training of our athletes, with a view toward upcoming competitions, on the island and abroad. As part of this effort, inaugurated January 15 at Havana’s Latinoamericano Stadium was a modern strength gym that will be used by different baseball teams for training. Likewise, opening its doors was a school, to train cadres and Physical Culture and Sports professionals, along with the headquarters of the Cubadeportes S.A. enterprise, with a new format, both in the proximity of Manuel Fajardo Physical Culture and Sports University.